Five easy ways to keep your family and home organized during the busy holiday season. The approach of the holiday season inevitably translates into a flurry of activity for most families, especially those with school-age children. The good news is that even if your packed calendar is wreaking havoc on your household, it’s never too late to borrow and implement best practices from other once-frenzied parents. Minimize the potential for clutter and chaos with these five tried-and-true household organization tips. 1. Create a shared family calendar. “With so many activities, appointments, deadlines, meetings, and commitments to manage, families need a solid organization system to make the most of each day,” says Nina Smith with The Container Store. According to Smith, one of the best ways to keep a busy family more organized and less stressed is to place a wall-mounted calendar in a common area, such as the kitchen or family room. “At a glance, each person will know everyone else’s schedule, resulting in less confusion about whose soccer game is on Saturday and who won’t be available to babysit on Friday,” she says. Smith adds that the calendar can be used not only to document every family member’s schedule, but also to remind each family member of his or her chores for the week or month. She suggests using different colors to code each family member’s entries. 2. Install an organizational unit near your exit door. You’re running late and can’t find your keys, or your son can’t remember where he left his backpack. Avoid the mad scramble through the house in search of missing items by installing a “don’t forget” center to organize all the items you typically grab on the way out the door. The organizational unit can be used to store keys, coats, backpacks, PE equipment, and lunch boxes. By getting into the habit of placing all these items in their designated spots the night before, you can avoid last-minute scavenger hunts for misplaced items, as well as those dreaded phone calls from the school notifying you of a PE uniform that’s missing in action. 3. Create a designated location for displaying and storing schoolwork. As proud as you are of your child’s schoolwork, unless it has a designated location for display and storage, it can quickly clutter your home or become damaged. By borrowing these innovative ideas from other moms, you can remove those refrigerator magnets and showcase precious keepsakes in a way that reflects your personal design style. 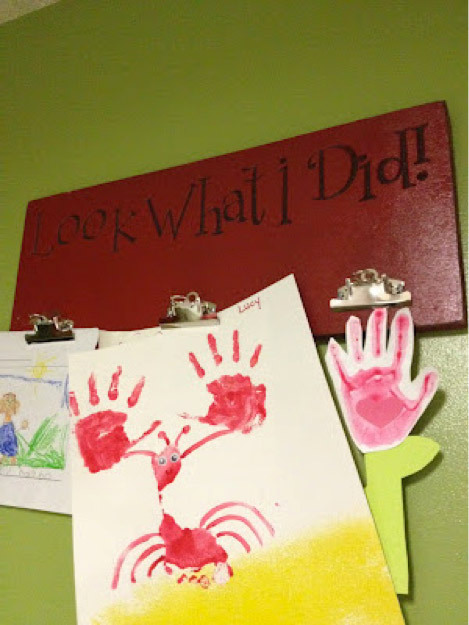 Kate Krull, a mom of three children and blogger from Covington, Tennessee, likes to showcase schoolwork with this adorable “Look What I Did!” display. Made with a simple piece of wood and metal clips, this display is easy to make and takes up little space. 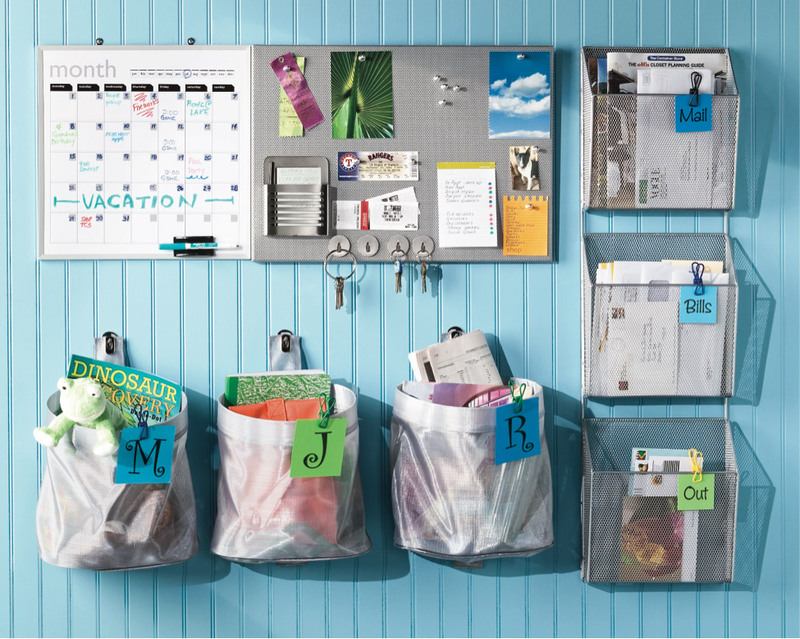 Another innovative idea for displaying schoolwork is to create a magnetic wall by using a piece of aluminum, furring strips, and magnets. The size of the display can be customized based on your available wall space, and you can use tape and other creative materials to divide it into sections for each child. 4. Organize closets and plan outfits in advance. According to Smith, children will have a much easier time getting ready in the morning if their closets are organized. 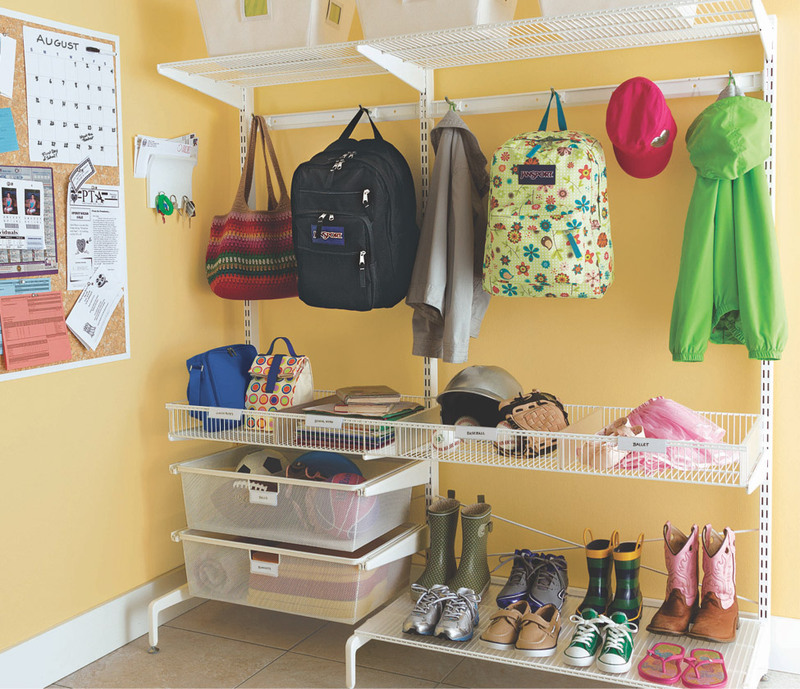 “You can use small-pocket hanging bags to keep shoes off the floor, lower closet rods so that kids can easily access hanging clothes, install door-mounted grids to hang belts, hats, hair accessories and scarves, and provide plenty of drawer space for folded clothes and toys,” she says. In addition to organizing closets, planning and laying out a week’s worth of clothing in advance can help save precious time on busy mornings. 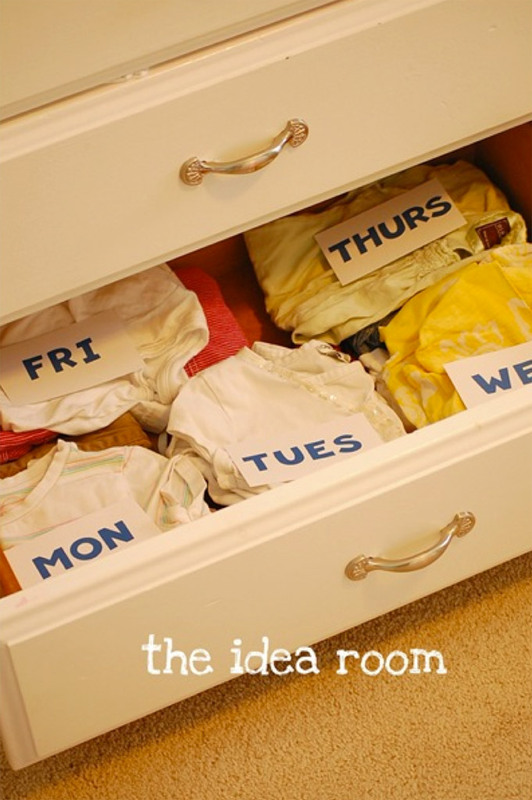 Amy Huntley, owner of The Idea Room, suggests organizing clothing in a drawer and topping the stacks with day-of-the-week labels. 5. Plan meals and lunches in advance. For breakfast, Musgrove has a rotating menu that she uses every week: bagels, smoothies, sausage, muffins, hash browns, and cereal. “We also do a ‘choice’ day where I make whatever each person wants,” she says. Like Musgrove, Huntley also suggests planning and organizing meals in advance. 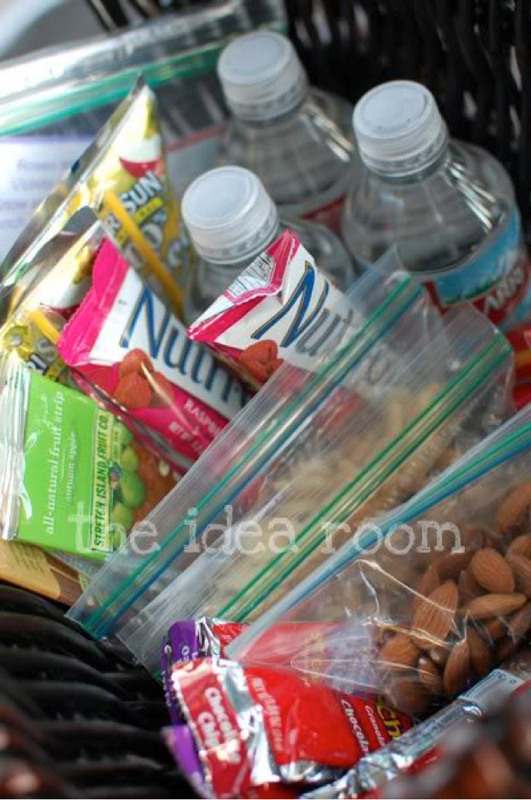 When it comes to lunches, Huntley fills a basket in her pantry at the beginning of the week with “mom-approved” lunch food, such as nuts, granola bars, fruit leather, raisins, and pretzels. Huntley also uses a plastic container in the refrigerator to store perishable lunch items such as bagged carrots, soybeans, grapes, apples, string cheese, and yogurt. 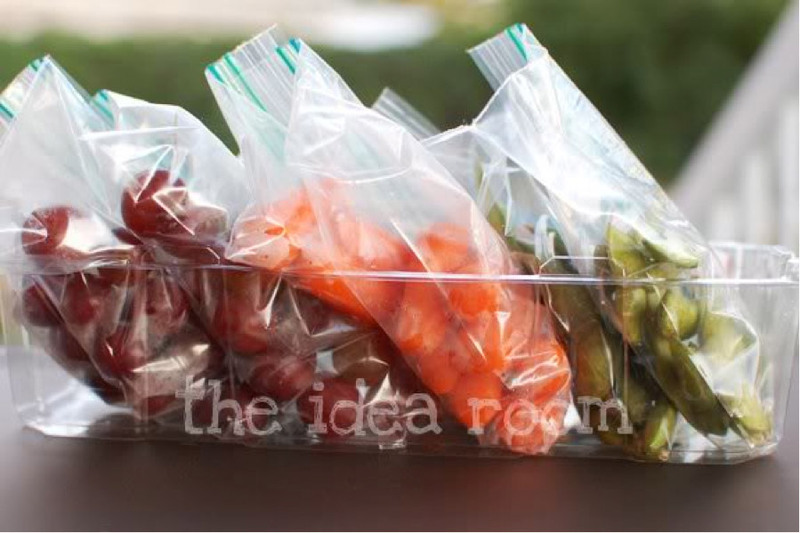 By preparing these items in advance and placing them in plastic baggies, Huntley is assured that her kids will not only eat healthy food but also be able to efficiently assemble lunches on busy mornings when time is of the essence. According to Musgrove, keeping your household organized while juggling school and holidays doesn’t have to be a stress-inducing endeavor. “It’s all about taking advantage of available ideas, resources, and technology to make life easier,” she says.